Trip Gabriel. New York Times, Late Edition (East Coast); New York, N.Y. [New York, N.Y]11 Jan 2019: A.10. Years before President Trump forced a government shutdown over a border wall, triggering a momentous test of wills in Washington, Representative Steve King of Iowa took to the House floor to show off a model of a 12-foot border wall he had designed. And long before Mr. Trump demonized immigrants -- accusing Mexico of exporting criminals and calling for an end to birthright citizenship -- Mr. King turned those views into talking points, with his use of misleading data about victims of undocumented immigrants and demeaning remarks about Latinos. Immigration is Mr. Trump's go-to issue, his surest connection to his most faithful supporters, and his prime-time address on Tuesday night underscored his willingness to use fear and misleading statements to appeal to voters -- just as he did with warnings about a migrant caravan before the midterm elections. The Republican Party hadn't always intended to go this route: Officials tried for years to come up with broad-based immigration reform that would appeal to growing numbers of Latino voters. But Mr. Trump's preoccupation with the wall and anti-immigrant politics reflects how he has embraced the once-fringe views of Mr. King, who has used racist language in the past, promotes neo-Nazis on Twitter and was recently denounced by one Republican leader as a white supremacist. With the federal government in a third week of paralysis over a border wall, Mr. Trump's positions are a reminder of how Mr. King's ideology and his language maligning undocumented residents helped shape the Republican message in 2016 and 2018 and define Mr. Trump's agenda and prospects for re-election. Mr. King may have been ostracized by some Republicans over his racist remarks and extremist ties, but as much of the nation debates immigration, his views now carry substantial influence on the right. Early in Mr. Trump's term, the president invited Mr. King -- who was long snubbed by establishment Republicans like the former House speaker John A. Boehner -- to the Oval Office. There, the president boasted of having raised more money for the congressman's campaigns than anyone else, including during a 2014 Iowa visit, Mr. King recalled in an interview with The Times. "Yes, Mr. President," Mr. King replied. "But I market-tested your immigration policy for 14 years, and that ought to be worth something." Mr. King, a 69-year-old former bulldozer operator with a combative manner, who has been elected nine times, helped write the book on white identity politics that are ascendant in Mr. Trump's Republican Party. That provides both a template for Mr. Trump and a warning. Mr. King's full-throated embrace of nativism has long found a supportive constituency in the rural Midwest, the region that was a key to Mr. Trump's 2016 victory and represents his most likely path to re-election. But at the same time, Mr. King's margin of victory in 2018 shrank to its narrowest in 16 years. He made national headlines for endorsing a Toronto mayoral candidate with neo-Nazi ties and for meeting with a far-right Austrian party accused of trivializing the Holocaust. On Twitter, he follows an Australian anti-Semitic activist, who proposed hanging a portrait of Hitler "in every classroom." And in October, the chairman of the Republican House elections committee, Representative Steve Stivers of Ohio, condemned Mr. King, saying, "We must stand up against white supremacy and hate in all forms." Mr. King lost corporate agriculture donors like Purina, Land O'Lakes and Smithfield. He dropped from an 18-point lead over his Democratic opponent in his internal polls to barely squeaking out a three-point win on Election Day. On Wednesday, Mr. King drew a formidable challenger for his Fourth District seat in the 2020 Republican primary: Randy Feenstra, an assistant majority leader in the State Senate, who said Mr. King had left Iowa "without a seat at the table" because of "sideshows" and "distractions." At the same time, he said, he supports immigrants who enter the country legally and fully assimilate because what matters more than race is "the culture of America" based on values brought to the United States by whites from Europe. "White nationalist, white supremacist, Western civilization -- how did that language become offensive?" Mr. King said. "Why did I sit in classes teaching me about the merits of our history and our civilization?" After this article was published Thursday, Mr. King issued a public statement calling himself a "nationalist" and defending his support of "western civilization's values," and said he was not an advocate for "white nationalism and white supremacy." "I want to make one thing abundantly clear: I reject those labels and the evil ideology they define," he wrote. Mr. King's influence over national politics derives from his representation of the reddest district in the first presidential nominating state. Nearly all the 2016 Republican presidential contenders sought his blessing at a forum he hosted in Des Moines in January 2015, Mr. Trump included. "Donald Trump came to Iowa as a real nonideological candidate," Mr. King recalled. Mr. Trump's first hire in Iowa, Chuck Laudner, was a former chief of staff to Mr. King. Mr. Trump's first Iowa rally directly followed a visit to the Mexican border. The previous year, Mr. Trump had visited to endorse Mr. King's re-election. As the congressman warned of scenarios like Islamic State terrorists or even Africans with ebola illegally entering the country, Mr. Trump listened and nodded. When he stepped to the microphone, he echoed Mr. King. "Well, border security is a very big issue," he said. "People are just flooding across." Tom Tancredo, a former Colorado congressman who once held the most conservative views in official Washington on immigration, calling for a moratorium on even legal immigrants, said he "handed the baton to Steve King" when he left the House in 2008. David Johnson, a former Republican state senator from Mr. King's district, said he heard in the president's rhetoric a direct echo of Mr. King. "They belong to the same subset of white nationalists who are afraid of how the country is changing," he said. Mr. King was born in Storm Lake, Iowa, and attended high school in nearby Denison, then a nearly all-white rural farming region, where his father managed a state police radio station. After founding an earth-moving company, Mr. King ran successfully for the State Senate in 1996. His most notable legacy from six years in the Legislature was a law making English the official state language. It was a time when packinghouses and other agricultural employers had dropped wages, and Latino migrants increasingly were taking jobs that no longer attracted native-born Iowans. Elected to Congress in 2002, Mr. King attracted the attention of hate-watch groups like the Anti-Defamation League as he spoke increasingly about preserving "Western culture" or "Western civilization." The groups consider those buzzwords that signal support to white nationalists, along with an obsession with birthrates and abortion rates among different ethnic groups. "He uses the concepts of either 'culture' or 'civilization' to obfuscate that he's talking about whiteness and race," said Lawrence Rosenthal, chairman of the Berkeley Center for Right-Wing Studies. In 2011, Mr. King objected to the Affordable Care Act's mandate to cover contraception. "That's not constructive to our culture and our civilization," he said in a speech in the House. "If we let our birthrate get down below the replacement rate, we're a dying civilization." Mr. King seems further emboldened during the Trump presidency. In an interview in August with a far-right web publication in Austria, Mr. King displayed a deep familiarity with racist tracts and ideas embraced by white supremacists. He spoke of "the Great Replacement," a conspiracy theory on the far right that claims shadowy elites are working behind the scenes to reduce white populations to minorities in their own countries. "Great replacement, yes," Mr. King said in the interview. 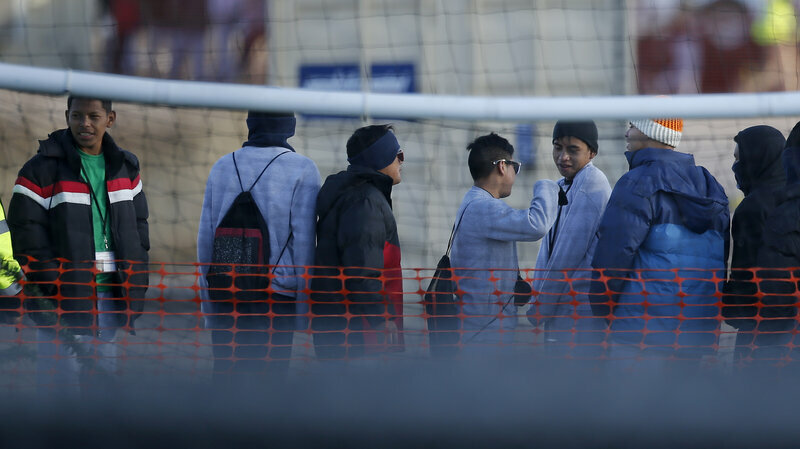 "These people walking into Europe by ethnic migration, 80 percent are young men." The accusation that a "great replacement" of whites is underway -- which conspiracy theorists often link to prominent Jews like George Soros -- animated the torch-carrying white nationalists in Charlottesville, Va., in 2017, who chanted, "You will not replace us" and "Jews will not replace us." Mr. Trump's refusal to condemn the marchers, and his insistence that there were "very fine people on both sides," was cheered by neo-Nazi websites. In Mr. King's interview with the Austrian website, he repeated his yearslong critique of multiculturalism. "What does this diversity bring that we don't already have? Mexican food. Chinese food," he said. "Those things, well, that's fine, but what does it bring that we don't have that is worth the price?" In recent years, Mr. King has forged alliances with far-right European leaders, including Marine Le Pen of France and Geert Wilders of the Netherlands, one of the most anti-Muslim politicians in Europe, who calls for closing mosques. Ahead of Dutch elections in March 2017, Mr. King endorsed Mr. Wilders in a tweet, saying, "We can't restore our civilization with somebody else's babies." Amid an ensuing controversy, he claimed the tweet wasn't about race. Virulent white supremacists, however, heard otherwise. "Steve King is basically an open white nationalist at this point," wrote Andrew Anglin, the founder of the neo-Nazi Daily Stormer. Mr. Anglin and others celebrated that Mr. Trump's election had made once-fringe beliefs about ethnonationalism acceptable to mainstream politicians. As Republicans have morphed from the party of George W. Bush, who sought legal status for 12 million undocumented immigrants, to the party of Mr. Trump and Mr. King, some party leaders fear for the future in a nation where Hispanic voters are a rapidly growing electorate. "Great damage has been done," said Carlos Curbelo, a moderate Republican who lost a South Florida congressional seat in the midterms. "For anyone who cares about having a small-government, free-enterprise party in America that can aspire to win national elections, it's a real concern." Mr. Curbelo, who tried to forge compromise on immigration in the House last year, said Mr. Trump told him privately, including on Air Force One, that he wanted a deal with Democrats. But the president is paralyzed by the far right, Mr. Curbelo said. "He's terrified of losing his base and the so-called conservative media." Last week, as the new Congress was sworn in, Mr. King sat on his side of a chamber sharply delineated by demographics. The Democratic majority included record numbers of African-Americans and women, including the first Native American and the first Muslim women. Mr. King's side was mostly people who look like him. "You could look over there and think the Democratic Party is no country for white men," he said. 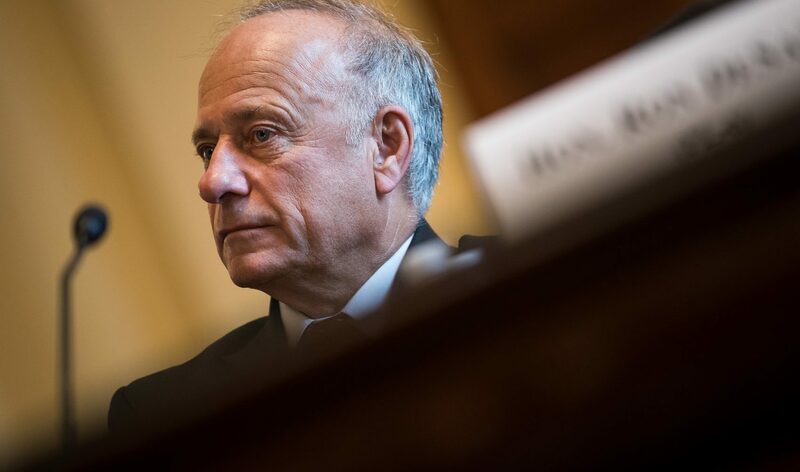 Congressional Republicans have taken a rare step to punish Rep. Steve King, after he questioned in a New York Times interview why “white nationalist” and “white supremacist” are offensive terms. Here & Now‘s Robin Young called into “Open Line With Charlie Stone,” a talk radio program on KSCJ in Sioux City, Iowa, to hear how his constituents are reacting to the news. Republican Steve King has a long history of remarks that offend. That history caught up with him Monday when he was removed from his committee assignments in Congress after he defended the use of terms like "white supremacy" in an interview with the New York Times. During this hour of River to River, host Ben Kieffer talks with political analysts Dennis Goldford of Drake Universiy and Tim Hagle of the University of Iowa about King's comments and why he's being reprimanded now. We also hear a recap of yesterday's Condition of the State address delivered by Governor Kim Reynolds and talk about confirmation hearings for Attorney Heneral nominee William Barr, which wrapped up this afternoon after this program aired. I can't take the kafuffle over 4th District Iowa Republican Representative Steve King seriously because he has being making racist statements for years mostly against Blacks and other people of color, including the undocumented immigrants farm labor that Iowa farmers depend on to detassel corn; walk beans; prepare the fields; weed where Round-Up fails; pull odd-shaped crops like watermelons; help bring in and plant their crops, and save small rural towns--dying because young whites have gone to the cities for better paying easier jobs. 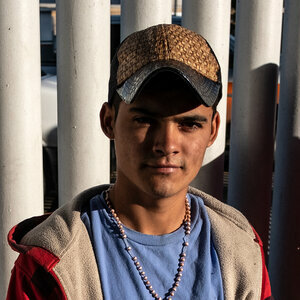 These immigrant farm workers are willing to work from sun-up to can't see on jobs that Americans no longer want to do. However, I agree with the caller to River to River who states that King is being used as a scapegoat in place of Donald Trump. Moreover, King is far from innocent, but like the Women's' March, he is caught-up in the blow-back from Pittsburgh's Tree of Life Synagogue Massacre. Organized Jewish pressure against King's reelection came too late because of early voting in Iowa. A visitor walks by a memorial outside the Tree of Life synagogue following Saturday's shooting in Pittsburgh on Monday. 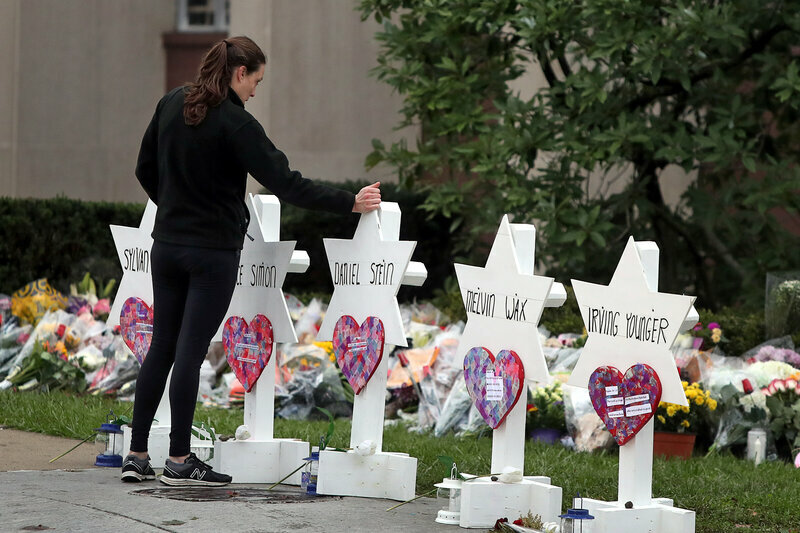 Anti-Semitism in its rawest form motivated the Oct. 27 massacre at the Tree of Life synagogue in Pittsburgh. The detectives who investigated the killing reported that the gunman, once in custody, told officers that he "wanted all Jews to die." In his initial reaction to the shooting, President Trump said, "It looks definitely like it's an anti-Semitic crime." But the president seemed surprised it had happened, saying it was "something you wouldn't believe could still be going on." In fact, anti-Semitism — the ideology that Jews are malevolent and out to control the world — has persisted for nearly 2,000 years. Analysts who study the phenomenon say it's important to understand the roots of anti-Semitism, why it continues to flourish, and how political leaders, including President Trump, may nourish it, wittingly or not, through divisive rhetoric. Jeffrey Herf, a historian at the University of Maryland who has written widely on the anatomy of anti-Semitism, argues that particular arguments and habits of thinking underlie its power. Most important, he says, is a willingness to buy into conspiratorial thinking. "The core of every conspiracy theory," Herf notes, "is the basic notion that the world is governed by small groups of people who operate behind the scenes and are enormously powerful and enormously evil." A leader who promotes a conspiracy theory, Herf argues, is necessarily implying that, "thousands of people are liars and hiding the truth and that he is the heroic one who is revealing the secret of what they're trying to conceal." By that interpretation, President Trump himself has promoted conspiratorial thinking on various occasions. Most notable was his contention before and during the 2016 campaign that Barack Obama may not have been born in the United States. It is a habit he has continued in office. The caravan of Central Americans headed to the United States prompted a tweet from Trump on Oct. 22, offered with zero evidence, that the migrants included "criminals and unknown Middle Easterners." The major television networks, with the exception of Fox News, including The New York Times and The Washington Post, report "fake news," Trump says, and he claims the protesters they interview are actually people who are hired by somebody, like philanthropist George Soros. "They'll go to a person hiding a sign, who gets paid by Soros or somebody," Trump charged at a campaign rally in Missoula, Mont., earlier this month. "That's what happens," he said, to a chorus of boos. Organizations supported by the Soros-financed Open Society Fund have vigorously denied paying any protesters, and there is no evidence to support Trump's charge. Soros is a Hungarian-born Jew, and some writers see evidence of anti-Semitism in the accusation that he is secretly financing liberal movements. Whether President Trump himself is promoting anti-Semitism is debatable. His daughter and son-in-law are Jewish, and a small but significant segment of the U.S. Jewish population supports him, including about 70 percent of Orthodox Jews. That support may be due, at least in part, to the president's strong advocacy for Israel, including his decision to move the U.S. embassy from Tel Aviv to Jerusalem. Trump's continued promotion of conspiracy theories, however, strikes Herf as "extremely dangerous," because of where it may logically lead. "I can't think of a major conspiracy theory that at some point or other doesn't bump into the most famous conspiracy theory," Herf says, "[which is] that the Jews run the world." Among other key elements of anti-Semitic thinking, Herf has argued, is a deep distrust of intellectuals and the elite class in general. Here again, President Trump's rhetoric is relevant. At campaign rallies, he repeatedly singles out "the elite" for contempt. "You're the smartest people," Trump told a boisterous crowd at a campaign rally in Ohio in August. "You know what they talk about? They talk about 'the elite,' the elite. They're not elite," he said, as the crowd roared. "You're the elite." Herf argues that Jews get understandably nervous when people are encouraged to resent the elite. "The danger for Jews," he says, "is that we are very small in number, but we are very prominent, whether it's Hollywood, academia, banking, [or] the print press." Herf recognizes that any connection between Donald Trump and his rhetoric to an environment in which anti-Semitism grows is controversial, and he is careful how he describes it. "I think it's unwitting," he says. "I think he loves his daughter, and he has a lot of Jewish friends, from having spent his entire life in New York. So I don't think his intention is to bring harm to the Jewish people. No." Nevertheless, Herf says, "[Trump] wants to win, and he sees this is working. He has a special talent of knowing how to appeal to the resentments and hatreds of his base, and if, in order to win, he needs to fan the flames of conspiracy, then he is perfectly willing to do it." To be sure, other factors may contribute to any worsening of anti-Semitism, some of them having nothing to do with Trump's rhetoric. "I think what has fueled the surge [in anti-Semitism] in recent years is social media," says Nathan Diament, the director of public policy for the Orthodox Union Advocacy Center, representing Orthodox Jews. "You can have individual anti-Semites who might have been very isolated in years past but now have these technology platforms in which they can not only express their views [but also] find other people that share their views and second them and urge them on," Diament notes. "It's really fostered and accelerated a climate of hate and anti-Semitism." The Charleston church shooting (also known as the Charleston church massacre) was a mass shooting in which Dylann Roof, a 21-year-old white supremacist, murdered nine African Americans (including the senior pastor, state senator Clementa C. Pinckney) during a prayer service at the Emanuel African Methodist Episcopal Church in downtown Charleston, South Carolina, on the evening of June 17, 2015. Three other victims survived. The morning after the attack, police arrested Roof in Shelby, North Carolina. Roof confessed to committing the shooting in the hope of igniting a race war. The shooting targeted one of the United States' oldest black churches, which has long been a site for community organization around civil rights. Roof was found competent to stand trial in federal court, and in December 2016 was convicted of 33 federal hate crime and murder charges stemming from the shooting. On January 10, 2017, he was sentenced to death. Roof was separately charged with nine counts of murder in the South Carolina state courts. In April 2017, Roof pleaded guilty to all nine state charges in order to avoid a second death sentence and was sentenced to life imprisonment for each, clearing the way for his eventual federal execution. Roof espoused racial hatred in both a website manifesto published before the shooting, and a journal written from jail afterwards. Photographs posted on the website showed Roof posing with emblems associated with white supremacy and with photos of the Confederate battle flag. The shooting triggered debate on its modern display, and following the shooting, the South Carolina General Assembly voted to remove the flag from State Capitol grounds. 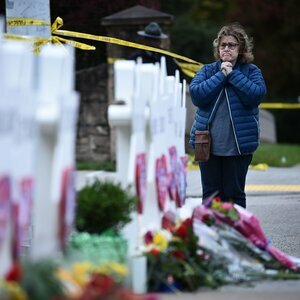 Until surpassed by the 2017 Sutherland Springs church shooting and the 2018 Pittsburgh synagogue shooting, this was the deadliest mass shooting at an American place of worship, alongside a 1991 attack at a Buddhist temple in Waddell, Arizona. Funerals begin Tuesday for three of the 11 people killed in Saturday's mass shooting at the Tree of Life Synagogue in Pittsburgh. Thoughts and prayers are heading there from around the country, including from Kentucky, which is grappling with its own tragedy. 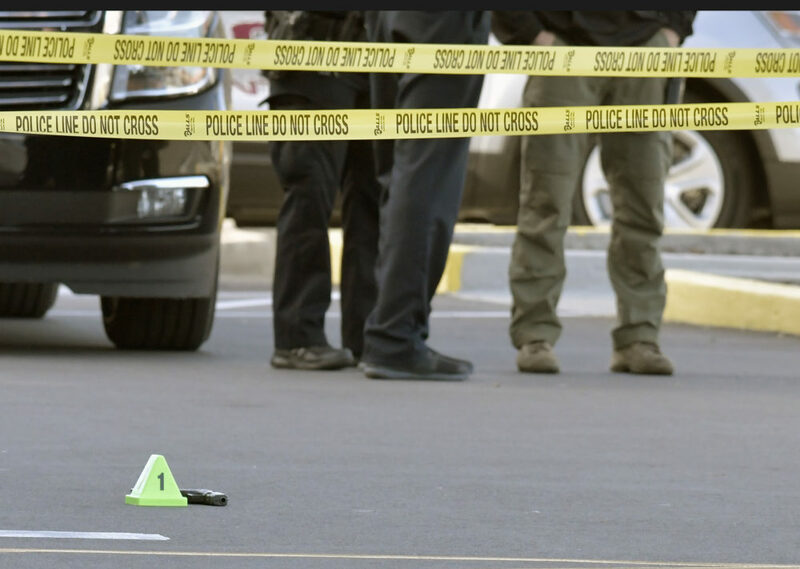 Maurice Stallard, 69, and Vickie Jones, 67, both African-American, were shot and killed last week at a Kroger grocery store in Jeffersontown by a white gunman. The shooting is being investigated as a hate crime. Here & Now's Robin Young speaks with Sadiqa Reynolds (@SadiqaReynolds), president and CEO of the Louisville Urban League. For nearly a year before family separation became an official and controversial policy of the Trump administration in the spring of 2018, federal immigration agents separated "thousands" of migrant children from their parents. That's according to a government watchdog report released Thursday. "OIG found more children over a longer period of time were separated by immigration authorities and referred to HHS for care than is commonly discussed in public debate. How many more children were separated is unknown by us and HHS," Ann Maxwell, assistant inspector general for evaluations at the Office of Inspector General at the Department of Health and Human Services, told reporters. She said HHS officials estimated the number of children was in the "thousands" but would not give a more exact figure. The report is the first official U.S. government acknowledgment that the Trump administration was using family separation as a measure to deter illegal immigration nearly a year before it became official DHS policy. NPR and other media were reporting the increase of family separations at the border in early 2018. "Beginning in the summer of 2017, before the formal announcement of the [Trump administration's] zero tolerance policy, ORR saw a steep increase in the number of children who had been separated from a parent or guardian by the Department of Homeland Security," according to an OIG press release. That means the Trump administration was engaged in an aggressive and unannounced policy to separate families well before the issue exploded into the headlines in April 2018. That's when then-Attorney General Jeff Sessions announced that all parents who crossed the border illegally would be prosecuted for immigration violations, and the government would take their children into custody. Reports of wrenching scenes in border detention cells where uniformed agents pulled hysterically crying children away from parents sparked a public outcry that prompted the administration to abruptly discontinue the policy three months later in June. The Department of Homeland Security maintains that the uptick in family separations in summer 2017 was a reflection of the higher numbers of undocumented immigrant families arriving at the U.S. border asking for entry. 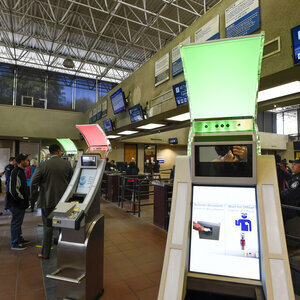 "The (OIG) report vindicates what DHS has long been saying: for more than a decade it was and continues to be standard for apprehended minors to be separated when the adult is not the parent or legal guardian" or the child's safety is at risk, said DHS spokesperson Katie Waldman. "For the HHS OIG to claim it was not known that DHS is actively enforcing this policy in the same manner for more than a decade ... casts doubt on the HHS OIG's credibility on this topic." A federal lawsuit resulted in the government identifying a class of 2,737 children who had been separated from their families between May and June 2018. "However, this number does not represent the full scope of family separations," according to the OIG statement. Under orders of a federal judge in California, HHS has now reunited nearly all of those 2,737 children with parents or released them to relatives living in the country. Moreover, the Office of Inspector General says the thousands of children who were removed from their parents starting in the summer of 2017 were all discharged from government custody before zero tolerance went into effect. Immigrant advocacy organizations such as the Women's Refugee Commission said at the time, "We began to hear a noticeable increase in this practice in the summer [of 2017]." Moreover, 74 congressional Democrats sent a letter to Homeland Security Secretary Kirstjen Nielsen denouncing family separation as unlawful and immoral. We all have to face reality that racism, sexism, Antisemitism, and domestic terrorism in America is like Mom's Apple Pie. President Trump has let this be known: “There are good people on both sides.” Steve King is an example of Trump's good people. He has been a racist so long until he has made this hatred of his fellow Americans-of-color his bête noir that he enjoys more than the Western Civilization he claims to be protecting. William Barr, President Trump's nominee for attorney general, told lawmakers at his confirmation hearing this week that he would consider jailing journalists only as "a last resort." The comments come amid Trump's continued denigration of media. Here & Now's Robin Young talks with NPR media correspondent David Folkenflik (@davidfolkenflik). Solomon Burke says it all. Is the march for freedom on a Jewish problem, or is it an American problem where we each have to join together or move back into our ethnic corners. Black and other peoples-of-color have also suffered from hate crimes. Jews do not have the sole ownership of holocausts. Look at world history beyond the the 1930s. The only difference is that the Jewish Holocaust was part of the Industrial Revolution of the mid-20th century. Pittsburgh does not mark the beginning of the American Holocaust. Obama prevented that. Something I shall write about in the near future. The only thing I can say is that WE Americans need the Women's March, and if you believe minor differences in loyalty should be considered outside of restoring the democracy Trump's Fascism is destined and determined to destroy, so be it. But for me and my household, I prefer to fight my true enemy than to Capitulate to divisions based on culture and the ownership of suffering. 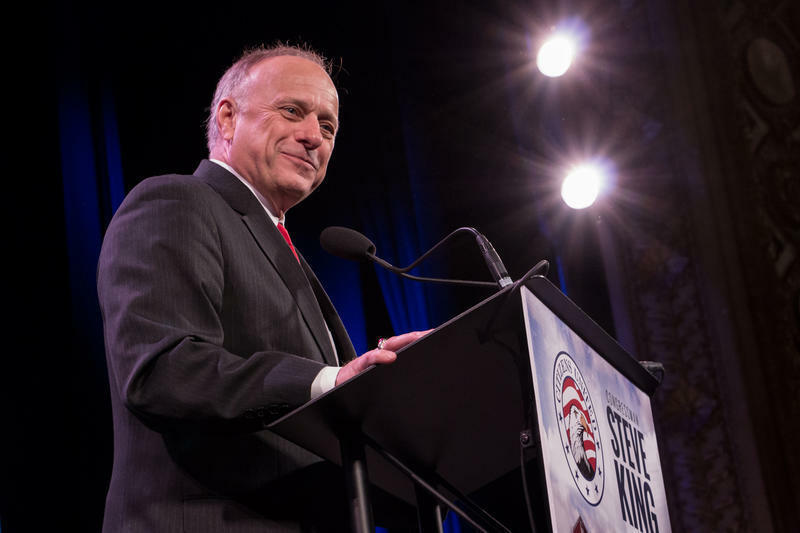 Will the pro-Israel community separate itself from Rep. Steve King? The Iowa congressman, a staunch supporter of the Jewish state... poses a real problem to Jewish groups and individuals... The Republican Jewish Coalition last hosted an event with him in 2012. Zionist Organization of America (ZOA) President Morton A. Klein released the following statement. ZOA enthusiastically praises pending House Resolution 27, introduced by Congressman Steve King (R-IA). H. Res. 27 rejects a PA State (the so-called Two-state solution) as the United States’ diplomatic policy objective and calls for the Administration to advocate for a new approach that prioritizes the State of Israel’s sovereignty, security, and borders. Could the planet's Zionazi and Netanyahu warmongering criminals have a better friend than Congressman Steve King? Of course, we see them addressing AIPAC functions all the time, our government by zionaUSea is full of them. I hope nothing is wrong. Hi, I'm back after almost two month locked in the house by snow storms. It seems snow loves Iowa. Since I've been gone news continues on. I want to get on with Venezuela and Chile the poster child for direct interference from the US Trump government. I will be posting soon, if the snow goes away about the generation gap on Anti-Semitism.